But as the city raised banners in glory to their sports franchises, the bottom was falling out of the steel industry. By the end of the decade nearly the entire industry was decimated and all those middle class blue collar jobs it provided had gone. It’s a story we all know. What people are still coming to realize is that the sooty skyline has cleared, Pittsburgh is now “America’s Most Livable City” and the steel has been replaced with the silicon of robotics and Internet companies. “Mama Steel” has been replaced by Daddy Tech. Yinzers still consider themselves as from a steel town and you would be hard pressed to find a people more loyal to their hometown. Yinzers are protective of Kennywood, Isaly Chipped Chopped Ham and Iron City Beer. These are not products and businesses but community trusts. The latter, specifically Pittsburgh Brewing Company, has changed hands multiple times in my lifetime and has exited the city proper but still tastes like home. First locally brewed adjunct lagers, once the prince of blue collar libations were pushed aside a homogenized industry decades ago. Later, craft brewing returned the importance of regional beers of every variety. This leaves local brewers like Pittsburgh Brewing Company in an strange place; local but no craft. They are being squeezed by the conglomerates and by the upstart craft brewers. Iron City will always be the perfect companion to a “cap and cheese” at Primanti’s but it’s not going to find its way into the discerning beer drinker’s fridge and its not big enough to compete with AB, Miller and Coors. 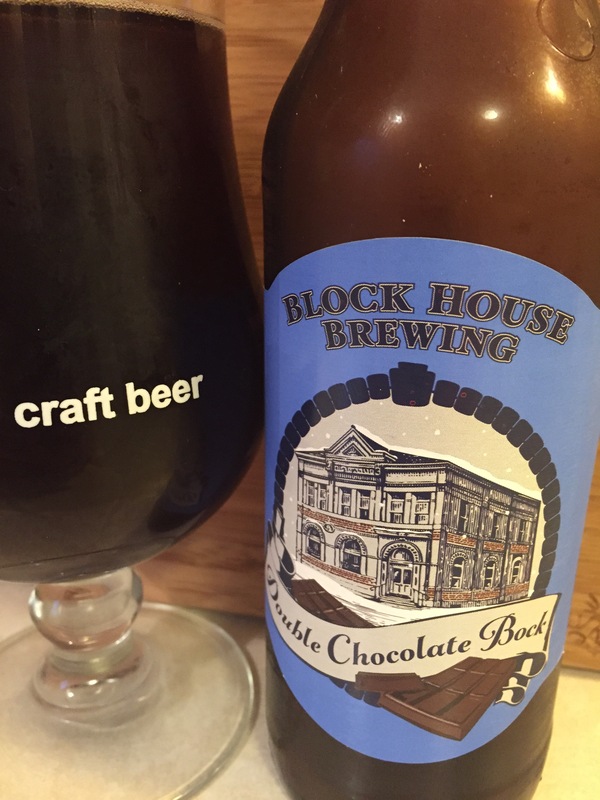 To address this shift, Pittsburgh Brewing Company established the Block House Brewing line of beers. To see what it has in store, I purchased their Summer Break and Double Chocolate Bock. The Summer Break opens with a hazy orange yellow pour with a sweet and citrusy nose. The beer is well carbonated with a light mouthfeel. It is excessively sweet. The flavors of grapefruit are intense and only quenched by a sweet lemonade finish. The beer is very, very sweet and did not exactly agree with my taste. It comes in at 5.0% ABV and is as light as a summer beer should be. College students are summer break are going to love it. The Double Chocolate Bock was much better. Chocolate in the nose with a slight hint of roasted malts. This medium bodied bock has good mouthfeel and is properly balanced. The chocolate runs through and through but only plays one note. It tends towards the milk chocolate side and does not provide the bitter dark favor of cacao. Its was a different take on a nice style of beer. While not as saccharine sweet as the Summer Break this beer too sits at the sweet side of the scale. Both of these beers show Pittsburgh Brewing Company is trying to move beyond IC Light and Old German as they must. Summer Break and Double Chocolate Bock are a good first effort. The trend of seasonal offerings will be a benefit to Block House as they roll out their IPL and Pumpkin Ale. This will allow for refinement and improvement. While Pittsburgh as a city has redefined itself and emerged as a city with a brightly shining future, it’s most famous brewery still has work to do but appears to be well on their way. Pittsburgh did not turn around its fortunes in a day. It took decades and it was not a straight path. It’s brewery is on the same course. It’s working hard. It’s making changes and its betting on new craft focused brands. If it can do half as well as the folks it serves it will be in great shape. I’m quite hopeful. These beers are a huge step forward from Olde Frothingslosh and Augustiner and that is a great thing.